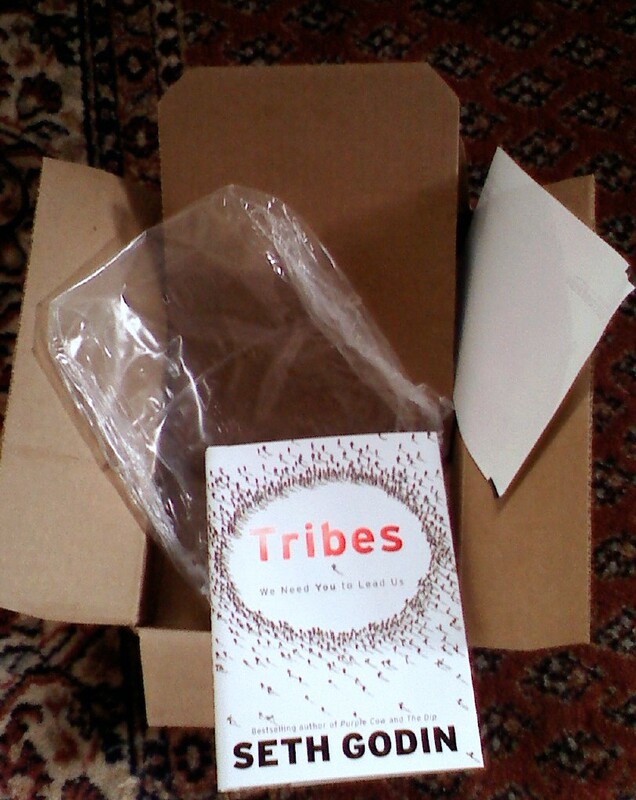 Sharon, our CEO, stole my copy of “Tribes” by Seth Godin. She was at my house, saw it and took it. When I asked her to return it the following weekend she said she wasn’t done and then said, “I ordered you a new one through (a very popular online bookseller). You’ll have it in a few days.” She evidently loved it so much that she wanted to keep the copy and talk with our team about it. Fair enough. 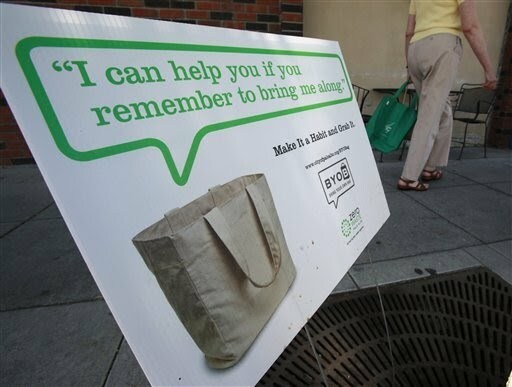 Seth’s work is fantastic and his blog is a daily dose of aha moments. Here’s a picture of my new copy of “Tribes,” which arrived today. Do you notice anything of concern? The box is about the size of the book. Good. The book came wrapped in shrink wrap, backed by cardboard. Not good. This is a hardcover book; it’s not delicate. There has to be a better way to get it to me, say in a padded envelope or packed with rice peanuts, than this. It’s enough to make me buy local :).